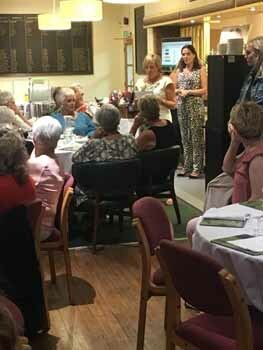 Tidworth Garrison GC in Wiltshire’s ladies recently enjoyed a ‘ladies night out’ at the golf club hosted by the ladies’ captain, Jenny Robins, to raise money and awareness for the ladies’ captain’s charity, Breast Cancer Now. Breast Cancer Now is the UK’s leading breast cancer research charity and its research is totally focused on breast cancer from what causes it, how to prevent it, early detection and diagnosis and, of course, treatments. Its goal is that by 2050 anyone who develops breast cancer will survive. 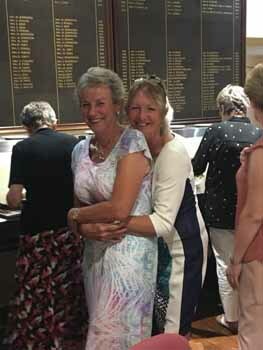 As breast cancer is a disease several of the ladies have personally experienced, or they know someone who has been affected by it, the event was a complete sell-out with over 70 ladies joining in and supporting the evening, which included club ladies as well as friends and family. 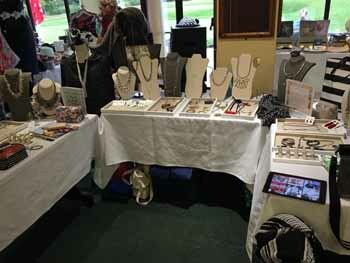 The evening started with members and visitors viewing various stall of homemade items that included Italian leather handbags, jewellery, accessories, gifts, luxury wrapping paper and hand crafted cards. A fun presentation was given by Kate Jones, House of Colour personal stylist on ‘How to Dress to Impress’. This included a light-hearted introduction to personality and style, body shape and colour analysis. The main event, our fashion show, was sponsored by Marina Wooldridge, from Honeysuckle Interiors, Oakley, with four of our lady golfers modelling some amazing outfits showcasing clothes suitable for a day at the races, mother of the bride and red carpet / evening wear. This went down extremely well with tickets for sale at just £15 per person, which included a glass of fizz and a light buffet meal, selling out to capacity. The evening concluded with a bonus raffle. 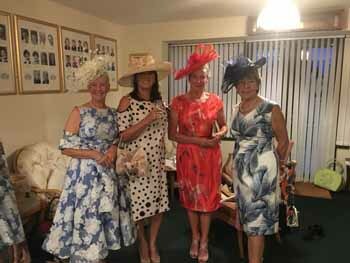 Overall, the evening was a great success with lots of ladies enjoying themselves, the clubhouse buzzing and four new aspiring models – who looked absolutely amazing – as well as raising £800 for charity.